It is emerging that our Universe is a inter-connected complex matrix of energy and matter, while biological life is a pinnacle of such complexities, certainly, one may not exist without the other. When it comes to the attributes of life’s intelligent design however, credit is rarely ascribed to intelligence outside of the human ‘paradigm ‘ of reductionist logic, of which, designs and technologies and all such functions and form must be made patently clear. In all examples of human driven invention the directives are clearly stated in terms of the individual stated purpose of any said design, especially if seeking the stamp of approval associated with the rights of the patent holder. Biological life has no need for patent application nor need for proofs of purpose, for the associations between human life and nature is clearly and ‘essentially’ symbiotic, ”all things working together” there is then, a ensuing and impending case for acknowledging directed logic evident in the designs of life,. It has always been quite apparent for the observing participant of this physical life, inasmuch as life displays an underlying and inherent wisdom layered beyond human comprehension, or human capabilities of design. ”Modern” empirical scientific evidence is revealing, and, whilst there are wonderful tools that aid further understanding, our amazing senses are invariably ‘limited’ in viewing the inner function and complexities of bio-life, continuing to step forward with unbiased reasoning is essential for science. In considering this, peer based reasoning must be made subject to constant scrutiny and revision, if unbiased progression in understanding is indeed paramount. Reduction-ism or separation of matter and energies into constituent parts of a whole in an attempt to relate ’cause and effect’, should never overlook the complexities and multi-layered out-workings which clearly necessitate ”directed” logic – the prerequisite for ‘any’ obviously inherent design of form, function, or intertwined purpose, especially the superfine connectivity inscribed at every level throughout nature or life. Design ‘is’ therefore apparent and ‘obviously’ evident to an ‘unbiased observer’. Consciousness is not dissect-able in a lab, it is disseminated, broadcasted, it promulgates, and is not made subjective to the physical aspect. If then, the intricate movements of life are by design would such a genius of design conduct such accomplishments alongside unpredictable, catastrophic vagaries, of blind chance? In the first such global evaluation, biologists found more than 30 percent of all vertebrates have declining populations. They call for curbs on the basic drivers of these losses. Two vertebrate species go extinct every year on average, but few people notice, perhaps because the rate seems relatively slow — not a clear and present threat to the natural systems we depend on. This view overlooks trends of extreme decline in animal populations, which tell a more dire story with cascading consequences, according to a new study that provides the first global evaluation of these population trends. The new analysis, published in Proceedings of the National Academy of Sciences, looks beyond species extinctions to provide a clear picture of dwindling populations and ranges. The researchers mapped the ranges of 27,600 species of birds, amphibians, mammals and reptiles — a sample representing nearly half of known terrestrial vertebrate species — and analyzed population losses in a sample of 177 well-studied mammal species between 1990 and 2015. Why does the loss of populations and biological diversity matter? Aside from being what the scientists call a prelude to species extinction, the losses rob us of crucial ecosystem services such as honeybees’ crop pollination, pest control and wetlands’ water purification. We also lose intricate ecological networks involving animals, plants and microorganisms — leading to less resilient ecosystems and pools of genetic information that may prove vital to species’ survival in a rapidly changing global environment. Materials provided by Stanford University. This entry was posted in Books/Research on July 3, 2017 by maccy50. For what follows is a ”short collection” of narratives and explorative’s from around the globe of viewpoints, experiences, both cultural and personal perspectives. Extract: The symbol of the Cosmic Serpent, the snake, is a central theme in your story, and in your research you discover that the snake forms a major part of the symbology across most of the world’s traditions and religions. Why is there such a consistent system of natural symbols in the world? Is the world inherently symbolic? This is the observation that led me to investigate the cosmic serpent. I found the symbol in shamanism all over the world. Why? That’s a good question.My hypothesis is that it is connected to the double helix of DNA inside virtually all living beings. And DNA itself is a symbolic Saussurian code. So, yes, in at least one important way, the living world is inherently symbolic. We are made of living language…. QUOTE; So then, what about these claims of spiritual benefit for a plant that a lot of people see as a recreational substance and is so often derided as escapist and even stupefying? Given that cannabis grows well in many different climates and has been used for multiple purposes as far back as anyone can determine, it stands to reason that the earliest humans would have discovered the plant’s mind-altering and spiritual potential as well. All you had to do was eat a little of it or toss some plants on a fire and stand close, as the nomadic Scythians of pre-Christian era Eurasia were described as doing by the Greek historian Herodotus (c.484-c.425 BCE). We know from archaeological records that shamanic and healing use of cannabis goes back to at least the Neolithic Era, roughly 7,500 years ago, where cannabis residue and paraphernalia have been found in the gravesites of shamans. The key issue then is what you do with this amplification, this charged equilibrium. The starting point is intention. Cannabis offers us a great gift, but it’s only “great” if we channel the energy effectively. One way of saying it is that the plant, or plant spirit if you will, wants to know what you’re asking it to do. If your intention, at whatever conscious or unconscious level, is to escape—to avoid feeling, insight, engagement, and responsibility—she can graciously assist you in that direction. In other words, as a non-specific amplifier, cannabis can take you farther down whatever road you are already facing. This journey – from the second-hand guesswork of the confused ego to the calm and open-hearted unconditional confidence of nowness – requires us to learn how to get out of our heads to a great degree. The compulsive thinking mind is our predominant strategy for obscuring the ever-present truth beyond our concepts. Echkhart Tolle sized this up succinctly in The Power of Now: the ideal relationship with our thinking mind is to use it as a tool we can pick up when needed and put back down when not. Another way of putting this is that instead of thinking life we are learning to feel life—in the most encompassing meaning of the word feel. In essence, a shaman is someone who has an out-of-body experience in which they undergo a journey as a spirit on behalf of a person or a community in order to find answers to particular questions. The kind of shamanism that is practiced these days is more usually on behalf of a sick person or child so as to identify remedies will cure the patient. It is important to understand that the information thus obtained is not discover-able through experimentation as it often involves the use of poisons that have to be treated in a particular way first otherwise they would be fatal. These shamanic journeys are trance-like dangerous, frightening, near-death experiences that can result in the actual death of the shaman. They are therefore to be avoided by anyone who is not properly trained or prepared [one of the problems with modern drug taking that it can result in mental damage from ignorant use]. The initiation or training of the shaman is thus critical from an early age. In addition, the preparation of the substance that brings on the trance is also key to the whole process. It is our cultural problem that we think of pyramids as tombs. Very few dead bodies have ever been found in them. The Egyptians buried their dead either in the Royal tombs on the West bank of the Nile opposite Luxor or in mudbrick mastabas. The Egyptian word for pyramid is mr which has the idea of an instrument for ascending. Another clue as to their function is to examine closely the structure of the most famous, the Great Pyramid at Giza. Some statistics: the Great Pyramid covers 13 acres; 2.3 million blocks on solid rock; an average weight of 2 tons per block; some blocks are 50 tons each; four corners are true 90 degree angles ‘to within 1/100th of an inch’; it is aligned on the cardinal points and deviates by only 5 degrees. What is remarkable about this pyramid is that it has clearly been constructed very carefully and very deliberately and it is devoid of any kind of internal decoration or ornamentation; whereas the mastaba tombs at Saqqara are beautifully decorated with the most exquisite bas-reliefs of life scenes that would help a pharaoh on his way in the afterlife. 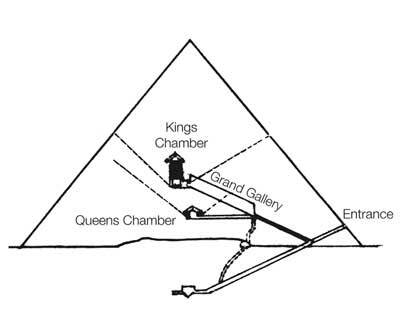 To take the most important of the all the chambers in the great pyramid, the Kings Chamber, an enormous effort was made to bring extraordinary granite slabs – megaliths – that weigh up 50 tons 500 miles from the quarry in Aswan. And then these slabs were used in the chamber in such a way that their function was obviously not visual. Furthermore the chamber is deliberately constructed so that its walls and its ceiling are not connected. The ceiling is supported by walls beyond the internal walls. Above the ceiling are also a series of hidden granite beams with bits taken out of them. By way of reinforcing this idea of vibration in an electrical field, the pharaoh either lay in a sarcophagus of alabaster or granite or on a special Heb Sed festival bed covered in gold leaf – Tut’s golden bed can be seen in the Cairo museum – gold being a good conductor of electricity. Before doing this the pharaoh put on the qeni garment over his chest and participated in the Wepwawet opening of the mouth ceremony. Was the point of using the qeni garment – which the pharaoh described as the embrace of Osiris – to protect the pharaoh’s heart from the electrical field? And was the ‘opening of the mouth’ ceremony to stop him from swallowing his tongue during his trance? What confirms my suspicions that this was all part of a shamanic ritual are the Pyramid or Coffin texts. These texts were discovered in the C19th by Flinders Petrie, the Victorian archaeologist. Again it is our cultural problem that we think of them as the description of the journey of the pharaoh’s soul after death whereas it is more likely that they describe his soul’s journey in life. Dr Jeremy Naydler, an Oxford academic, is one of the few who has come to this conclusion. When the Romano-Christians killed the last Egyptian priests at the temple of Isis in 394 AD all knowledge of hieroglyphs was lost and only rediscovered 1,500 years later in the C19th with the translation of the Rosetta Stone by Frenchman Champollion. As a result, one means of accessing Egyptian wisdom and knowledge was soon forgotten. By the end of the fourth century AD the Romano-Christians had symbolically and literally cut us off from the ancient past. Not surprising then that we knew nothing about the shamanic ritual of the pharaohs or the connections between megaliths and cities. The Egyptians were especially keen that their secrets should not fall into Roman hands. The Romans were powerful enough as it was but they never knew how to move the big stones. And if anyone still falls for the explanation that megaliths are moved by teams of slaves, then they need to consider the point that Rome was the ultimate in slave society and still couldn’t move megaliths. The Romans HAD to invent the pulley and mortar. Roman building is either smaller dressed stone or many many bricks on a spectacular scale. This entry was posted in Shamanism on March 5, 2017 by maccy50. The 3-6-9 and 6-3-9 Cycle in the Vedic Square can be thought of as Clockwise and Counter-Clockwise, or as Electricity and Magnetism. They are transport-channels, Nikola Tesla used ancient Sanskrit terminology in his descriptions of natural phenomena. As early as 1891 Tesla described the universe as a kinetic system filled with energy which could be harnessed at any location. His concepts during the following years were greatly influenced by the teachings of Swami Vivekananda. Swami Vivekananda was the first of a succession of eastern yogi’s who brought Vedic philosophy and religion to the west. After meeting the Swami and after continued study of the Eastern view of the mechanisms driving the material world, Tesla began using the Sanskrit words Akasha, Prana, and the concept of a luminiferous ether to describe the source, existence and construction of matter. (3,6,9) is a Triangular Cycle that repeats itself until Infinity. Consideration; – Anyway, to me, it does not appear surprising that when one tries to put mathematical ideas of modern physics in human languages, they look similar to the philosophical ideas of ancient Rishis obtained after deep meditations. In fact it would be shocking if they did not agree. This would be true if e.g. the world was described by classical physics. I think the nature of reality is such that both parties were forced to adopt these ideas. As for Rishis, it is not clear when that classical to quantum transition took place or indeed if there was a sharp transition like modern physics. In some parts of Vedas and many Upanishads, we see clearly concept of abstract, omnipresent, invisible, eternal, transcendent and immanent Brahman who has qualities unfamiliar in our everyday life. Just as many things in everyday world are described by classical physics, [ ] There is nothing wrong with that. Concept of Brahman would correspond to quantum concept. Similarly, in physics, one sees only the material objects around and does not see strange quantum fuzzy world underlying all the matter. Moreover, the particles of modern physics are believed to be in some kind of suspended state devoid of any specific properties until they are measured. This entry was posted in Ancient geometry on February 25, 2017 by maccy50. This cosmic and anthropic ‘New Science’ understanding of Man puts forth the same principles that were built into the architecture of Luxor’s Temple of Amun-Mut-Khonsu. The temple was not about the piety of a man, but our solar legacy as the philosophical ‘Divine Man’ portrayed in the great statues of Ramses – the birth of the sun. The temple was (and is) a form of communication, a lesson, and at its core its builders’ philosophy is carved in stone. Amun, Mut, and Khonsu were not ‘gods’ in the western religious sense, but principles that form and explain the nature of mankind as coherently as such an abstract subject can be explained. The definition of Man and the story of the human experience were built into the temple architecture. Physically, the temple describes the structure of man, from the importance of the femur in the creation of blood cells, to the role of the pineal gland in the brain. Spiritually, the temple conveys life’s cosmic drama and Man’s spiritual immortality. Amun was the ‘Hidden One’ or the ‘Invisible One,’ best described today as the western concept of God, omnipotent and omnipresent, or, from a scientific viewpoint, the energy field that pervades all that exists. From the ancient Egyptian point of view, Amun was self-created, the creative power and source for all that exists. Mut, which means ‘mother,’ was Amun’s cosmic wife and the mother of ‘the Son’ Khonsu who represented the King. Just as the ancient Uroboros – the circular serpent biting its tail – symbolizes, through our modern scientific endeavors we have come full circle in understanding ourselves. No one knows for sure in what culture or at what time the Uroboros was first fashioned as a symbol, but it is one of mankind’s most ancient symbols. The Western world view has a long history of separating the physical from the conceptual; the scientific from the religious. So together, spirituality and technology appear contradictory. This contradiction, however, is based on a naïve and exoteric view of ‘spirit’ and ‘technology. The most interesting question is, where does our ability to observe and perceive come from? According to physicists, it comes from an event called “state vector collapse” where all possible states of the system (the uni­verse) collapse into a single observed state. The spiritual technology of ancient Egypt expounds upon the works of Schwaller de Lubicz and tells the untold story behind the birth of the Western religious tradition. The Egyptian Mysteries, as they were called, inspired great­ness in men who instilled the concept of the Anthropocosm into our own sacred literature, and it is the same philo­sophical understanding of nature that is at the forefront of today’s “new science”; whether symbolized by the Urobo­ros or Schrödinger’s wave equation, human consciousness exists as a local manifestation of a self-perceiving universe. Out of interest; Petra, Jordan – Is it an ancient Shiva Temple complex? This entry was posted in Metaphysics on February 25, 2017 by maccy50. Width of a human hair is 100,000 atoms, an atom is 99.96% empty space, that empty space is made up of energy particles we cannot physically see with the eye, this energy flickers at the rate of 1 million billion billion frames per second. Were these such sites around the world ”interconnected” through much precise geometry to leave a testimony or statement of an understanding of our place and true nature,? one that is only now being uncovered with the growing awareness of quantum science and the interconnecting geometry of ALL things, the quantum world is the invisible yet indivisible tapestry that provides all information for life including all seemingly ”solid” matter. These sites are in astounding accurate alignment with each other, a worldwide grid that aligns with star constellations the cosmos, a seeming puzzle, suggestive of the holographic nature of all things we perceive, us included, ”as above so below” the larger, layered universe above mimicked also in the atomic and sub atomic realm, is ”consciousness the master key” ? For example, the systematic annihilation of cultures, records, documents, books, practiced during most wars and coups, presently and historically, whereas the acts of violent slaughter are rarely erased from living memory, rather, these psychological;y traumatic events were/are meticulously ”inculcated lest we forget”, methodically reenacted in classrooms and cultures of both ancient and modern world history, is it to inform, warn, remind, imprint, or to beguile impressionable young minds?, make no mistake here, societal indoctrination of the young is an age old practice, for every young mind and peer represents a cultural blank canvas – of political opportunity. ”Methods of mass mind control have fundamentally never changed”. 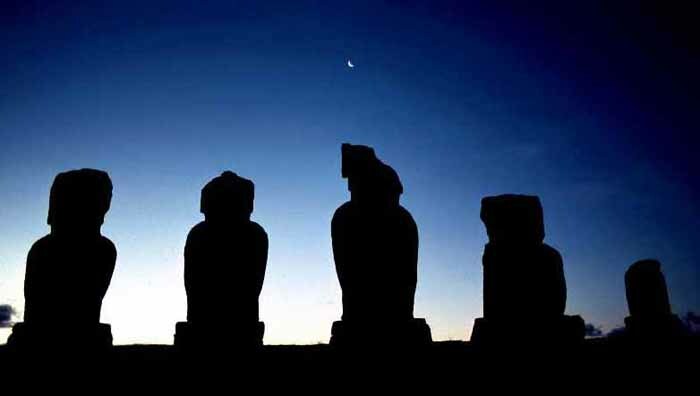 In these holograms of reality, and the myths within, Tiwanaku is another ancient civilization whose timeline came and went, leaving behind megalithic monuments that go without explanation as to their mathematical design and construction. Considered by some the oldest city in the world, much of Tiwanaku’s creation defies the laws of physics and mathematics even by today’s standards. Many monuments bear close resemblance to those created by other ancient cultures all over the planet, truly an overlap if one were to place hologram over hologram, to define the journey of humanity in time. The ancient monument at Nabta Playa, in the desolate Sahara desert of southwestern Egypt, has been called one of the earliest aligned structures of mankind’s ancient past. Consensus opinion currently indicates that usage of the site may have begun around 4500 BC (based on carbon dating analysis described in this 2007 article), although some analysts have provided arguments which suggest that the site may have been designed even earlier than that. Lipo and a team of researchers analyzed human, faunal and botanical remains from the archaeological sites Anakena and Ahu Tepeu on Rapa Nui, dating from c. 1400 AD to the historic period, and modern reference material. The team used bulk carbon and nitrogen isotope analyses and amino acid compound specific isotope analyses of collagen isolated from prehistoric human and faunal bone, to assess the use of marine versus terrestrial resources and to investigate the underlying baseline values. Similar isotope analyses of archaeological and modern botanical and marine samples were used to characterize the local environment. Results of carbon and nitrogen analyses independently show that around half the protein in diets from the humans measured came from marine sources; markedly higher than previous estimates. These findings point to concerted efforts to manipulate agricultural soils, and suggest the prehistoric Rapa Nui population had extensive knowledge of how to overcome poor soil fertility, improve environmental conditions, and create a sustainable food supply. These activities demonstrate considerable adaptation and resilience to environmental challenges — a finding that is inconsistent with an ‘ecocide’ narrative. 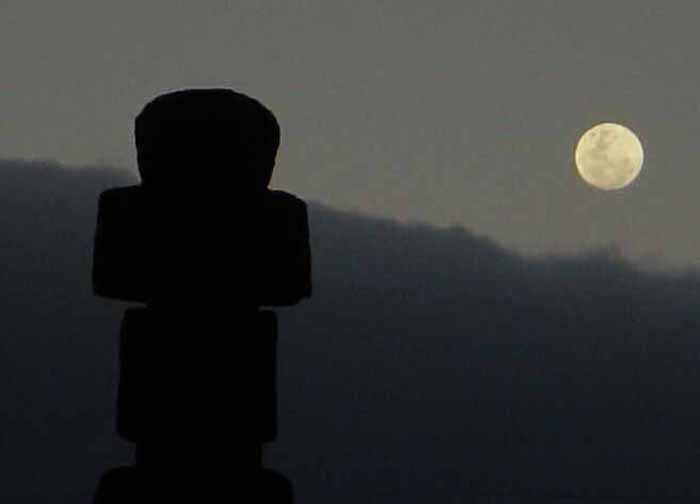 Ahu Akivi is a sanctuary and celestial observatory built about 1500 AD which was the subject of the first serious restoration accomplished on Easter Island by archaeologists William Mulloy and Gonzalo Figueroa, with excellent results. 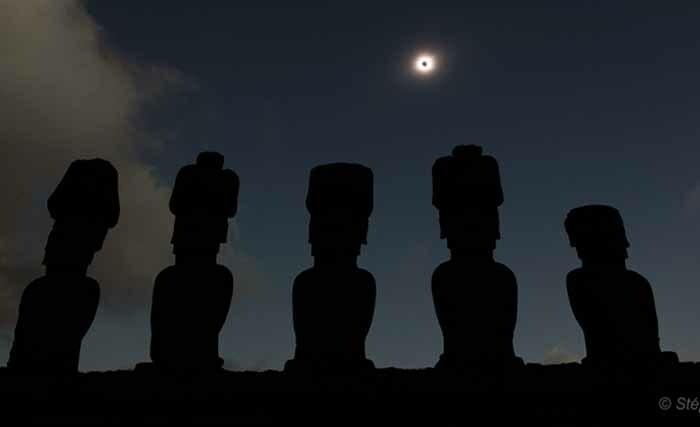 As in the case of many religious structures on Easter Island, it has been situated with astronomical precision – it’s seven statues look towards the point where the sun sets during the equinox. Rongorongo is the hieroglyphic script of Easter Island. It has remained a mystery since its discovery. For over a hundred years, controversy has raged over the meaning and source of these enigmatic characters. Chapter4 Hidden Stonehenge – Gordon R Freeman – An enormous amount of energy and ingenuity was spent on the construction of Stonehenge and the associated Barrows. Quote: ”In reality, the realm of the invisible and infinite is not “somewhere else,” in some far-removed “heaven,” but present and available at every point in this seemingly-material life: the material realm in fact proceeds from and is sustained by it everywhere and at every moment”. The ancient Messiah was a representative figure coming from age to age, cycle to cycle. He came “each day” in the Ritual; he came periodically; he came “regularly and continuously.” He came once through the cycle; but his solar and lunar natural types came cyclically and in eternal renewal. The Egyptian Messiah was one whose historical coming was not expected at any date, at any epoch. The type of his coming was manifest in some phenomenon repeated as often as the day, the year, or the lunation came around. The constant repetition of type was the assurance of its unfailing fulfillment. [ . . . ] The coming was taking place in the life of every man at all times. 546 (Italics as in the original). The longitudinal circumference passing through Giza crosses the most landmass above sea level of any longitude, as does the site’s latitudinal circumference from 30 ° N to 30° S. These unique site specifications for the Orion pyramids would last for millennia before the inevitable changes due to catastrophic tectonic subduction events that occur repeatedly, perhaps in concert with the cycles of glaciation and magnetic polar reversal. Giza is 16.7% or about 1/6 of the Earth’s circumference from the N pole along this ancient prime meridian. The golden ratio of phi is precisely expressed in the global circumference distances between Giza, Angkor and Nazca. Because of this perfect ratio any three consecutive numbers of the Fibonacci series can be used to precisely describe their proportionate distances, the unit of measure itself defined by the specific Fibonacci triplet chosen. The Fibonacci triplet beginning with prime Fibonacci #137 accurately expresses the Sine Wave circumference distances as a percent of the whole circumference. The Fibonacci triplet beginning with the next prime Fibonacci number, #359, accurately expresses the Sine Wave circumference distances in miles. This profound underlying relationship informs the application of the Mandelbrot set, which has been suspected by many as being a fundamental construct of the universe. The high degree of accuracy of these alignments forces the conclusion that ancient Sanskrit society’s capacity for aerial surveillance far exceeds that achieved today. The Sine Wave alignment is a cross- section through the sphere of the Earth along which sacred ancient sites conform to the Fibonacci – ordered complex plane of the Mandelbrot set [ zn+1 = zn2+c ] (4.4). This circular network of phi – proportioned sites can also be visualized as a cross- section through the Magnetic Resonance fractal ( 4.5). Global positioning data for each site is provided in the final section of this chapter. The abbreviated name of the site is given with the percent of the circumference distance from Giza (An = Angkor, at 19.1% from Giza). Vibratory energy from Giza is simultaneously transduced at each resonant site after the 1.45 Hz oscillations of the Great Pyramid encircle the globe, taking 4 hours to return to their source. Piezoelectric stone structures worldwide transduce a broad – spectrum of vibratory energy into a magnetic field by virtue of the angular geometries specifically designed to focus infrasound. Yonaguni #48 is a gigantic geometrically carved platform over 450’ in length with megalithic arches and a cave opening that are hewn from a single massive outcropping of the Yaeyama mudstone formation off Iseki Pt. These marine sites are all less than 100’ of depth and must have been constructed over 9,000 years ago, when more of the Earth’s water was trapped in the polar glacial icecaps lowering sea levels. The design layout of the Orion’s belt constellation is observed at both the Xi’an pyramids #47 and the Borobudur limestone Buddhist temples #51 – 57. Several of Java’s Buddhist sites have clearly been designed using the same underlying geometry evident in the stepped pyramids of Mesoamerica, with a steep central ascending stairway. Temple sites mapped in the eastern hemisphere represent the foundation of many contemporary religions including Islam, Hinduism and both Theravada and Mahayana traditions of Buddhism. Hindu sacred temples are spread throughout India and described here only by a few prime sites including Mahabalipuram #34 , where temples on the present shoreline sit adjacent to those now submerged off the coast and recently discovered by G. Hancock. The rainforests of the Amazon are slowly revealing their ancient civilizations; M. Heckenbecker has documented the solar and lunar alignments of complex ancient set tlements of indigenous peoples of the Xingu River #61 and its tributaries including the Cuelene River #64 . This region is also well known for its advanced indigenous traditions of trance entrainment using psychoacoustic whistles in all forms and materials, including stone, bone, wood, shell and ceramic. The most complex psychoacoustic instruments developed were the tri – harmonic stone flutes of the Bolivian Andes discussed earlier, and the most widespread cultural practices of psychoacoustic entrainment observed of any region in the world. These megalithic structures stand among only a few others like Japan’s Yonaguni marine site that have been so completely preserved by their inundation as to have captured the very moment of devastation, to be archived along the continental shelf, silted upon for millennia. Sites of subterranean discoveries are also included in this analysis, namely at Sutatausa, Colombia and at La Maná and Cuenca in Ecuador, though of vast number of temple sites include uncharted subterranean chambers. This entry was posted in Ancient geometry on February 24, 2017 by maccy50.